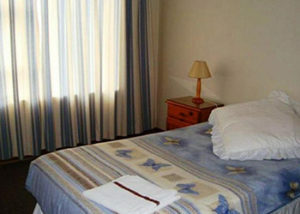 Rolling Waves offers comfortable bed and breakfast accommodation in a guest room situated in a residential home where the owners reside. 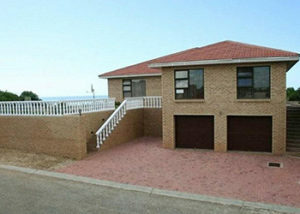 Rolling Waves is situated in Paradise Beach, Jeffreys Bay, within walking distance to the beach. The guest room is private as it is situated at the bottom of the house. 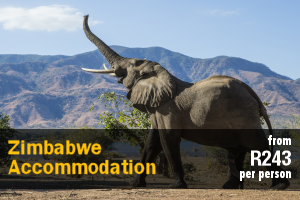 The guest room contains a double bed and has an en-suite bathroom with a shower. Guests have access to the lounge shared with the owners, the garden, and other areas in the house. The kitchen is not available to guests, and is where the host will prepare breakfast, as well as other meals on request. Guests have access to free Wi-Fi and secure parking. 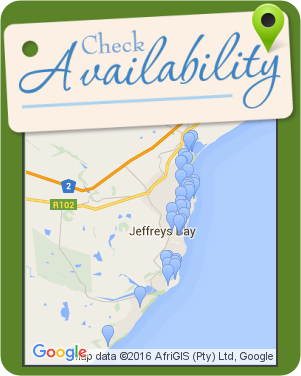 Paradise Beach is 10 km from Jeffreys Bay and 28 km from St Francis Bay. Paradise Beach is ideal for water sports, such as kite-boarding, wind-surfing, surfing or jet-skiing, as well as swimming, tanning or enjoying a leisurely stroll. Paradise Beach is situated on the beautiful east coast at Paradise Beach, near to Jeffrey’s Bay. Paradise Beach stretching for several km along a beautiful sandy beach from the Seekoei River Lagoon towards St Francis Bay. 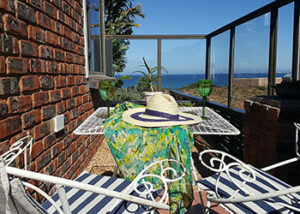 This upmarket beachfront self-catering apartment has unsurpassed sea views with magical sunsets and sunrises. The home offers 5 en-suite bedrooms. The main bedroom contains a king-size bed. There are 4 bedrooms with queen-size beds. The open-plan living area comprises a modern kitchen, comfortable lounge and a dining area seating 8 people. The well-appointed kitchen with granite worktops is modern and fully equipped with gas stove, electric oven, a double door fridge-freezer, and a separate. The living area downstairs leads out to the patio with uninterrupted views of the ocean. 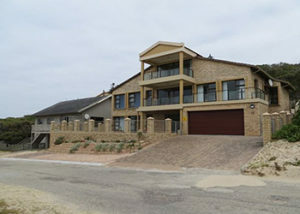 The home also features a flat-screen TV with DStv channels and an indoor braai. 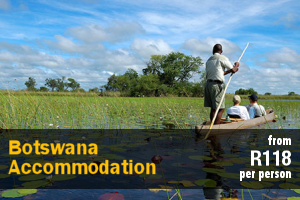 Located within 5 km are the Seekoei River Nature Reserve, Die Walskipper Restaurant, and Aston Bay Beach. Surrounded by fynbos, Die Blombos Huis is located on a hill with unobstructed views of the mountains and ocean, and can accommodate up to 9 people. The house consists of 4 bedrooms that are furnished with double and single beds. The rooms share the use of a bathroom with a bath and a shower. Please note that parts of the house is accessed via stairs, and may not be suitable for the elderly or guests with disabilities. The open-plan kitchen is equipped with a stove and oven, a microwave, as well as a fridge, and meals can be enjoyed at the dining table. Guests can relax in the living area with its fireplace, or on the balcony with its lovely views. Unfortunately, pets are not allowed. Paradise Beach is bordered by estuaries and natural reserves, and offers various activities such as wind-, kite-, surfing and jet-skiing, as well as swimming. 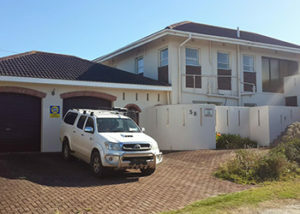 Paradys Paleis is situated in Paradise Beach, Jeffrey’s Bay, and offers quality holiday accommodation, ideally suited for a family or group of friends. It is located near Aston Bay as well as numerous shops, restaurants, activities and attractions. The house comprises 5 bedrooms and can accommodate up to 12 guests at a time. The main bedroom as a double bed and walks out onto the balcony. The second and third bedrooms each have 1 double bed and 1 single bed. The fourth and fifth bedrooms each have 2 single beds. There are 3 bathrooms and a separate guest toilet. 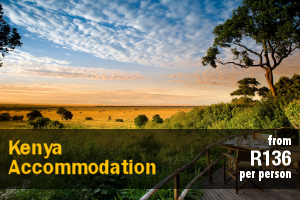 The kitchen is equipped with a stove, oven, microwave, fridge, coffee- and tea-making facilities, crockery and cutlery. 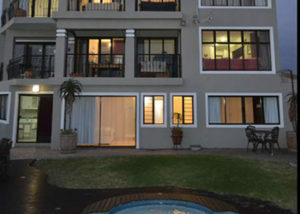 The open-plan living area has comfortable seating, a TV with DStv, a door that leads to the balcony and an indoor braai. The house is in a Cul-de-sac and guests have access to steps that lead right onto the beach. The house also boasts beautiful sea views. 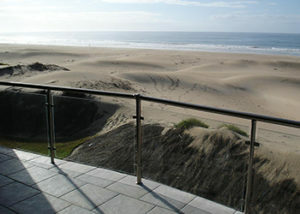 Guests are required to bring their own beach and bath towels. Vrede is located in Paradise Beach, Jeffrey’s Bay, and offers quality family holiday accommodation. 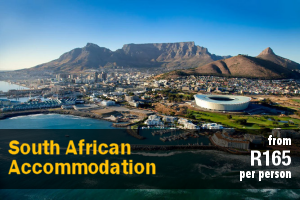 Guests are within easy reach of the beach, numerous shops and restaurants and the attractions and activities of Jeffrey’s Bay. The house comprises 4 bedrooms and can accommodate up to 10 guests at a time. The main bedroom has a double bed and an en-suite bathroom. The second bedroom also has a double bed and the fourth bedroom has 2 single beds. The fourth bedroom has 2 bunk beds, accommodating 4 children or willing adults. The kitchen is equipped with a stove and oven, a fridge, a microwave, coffee- and tea-making facilities, crockery and cutlery. The lounge has comfortable seating where guests can relax in front of the built-in braai, or bring some board games along to have fun together in the evenings. There is secure parking on the premises for guests’ vehicles. 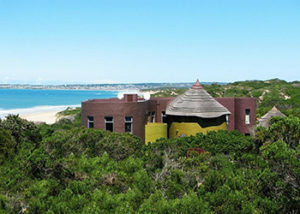 The house is a 10-minute drive from the Jeffrey’s Bay town centre, as well as the main swimming beach. Paradise Self-Catering Units are located in Paradise Beach in the Eastern Cape and offer quality holiday accommodation, ideally suited for small families or groups of friends. The surroundings are safe and friendly. 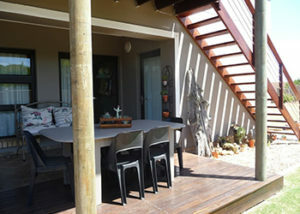 Addie’s is situated in a peaceful cul-de-sac in Paradise Beach, 6 km from Jeffrey’s Bay. Paradise Beach has made The World’s Best Beach List. 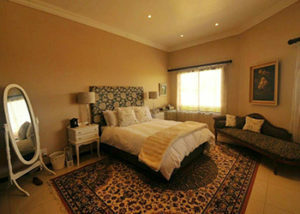 This comfortable self-catering accommodation option is tastefully furnished with antiques. 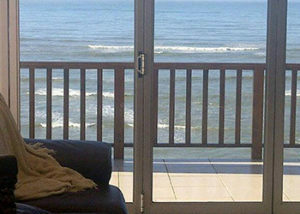 Kiewiets View is the ideal holiday destination for a family of four (2 adults & 2 children) or 4 adults. 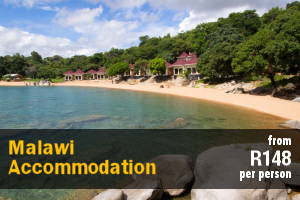 The accommodation is situated in tranquil Paradise Beach. We are within walking distance to the most beautiful strollers beach, on the Indian Ocean. Rulanda Lodge offer 2 self-catering options located on the owner’s property in Paradise Beach, a coastal resort town in the Eastern Cape, about 93 km west of Port Elizabeth and 7 km from Jeffreys Bay. 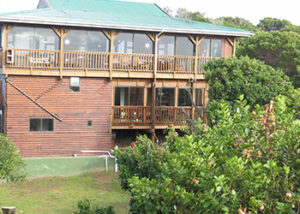 58 Lagoonview is a holiday home situated on the banks of the Seekoei river, in Paradise Beach, in the Eastern Cape. The house is within walking distance of the nearest swimming beach. The house is double storey with 3 spacious bedrooms and a bathroom. 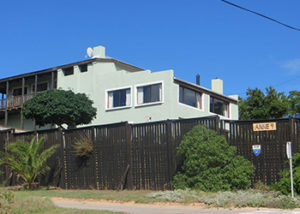 Marine Paradise Guest House offers comfortable, sea-front accommodation in the secure Paradise Beach, approximately 80 km from Port Elizabeth. It is conveniently located within walking distance to the beach. 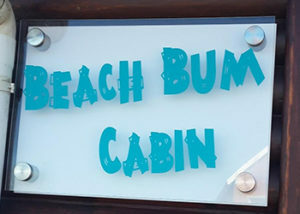 Beach Bum Cabin is a double storey self-catering cabin located in the coastal town of Paradise Beach, south of Jeffrey’s Bay. Put your feet up and enjoy the amazing views from either of the 2 decks. This rustic wood cabin has 3 bedrooms and can accommodate 6 people. 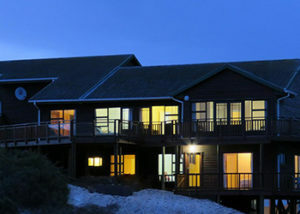 Seebries 15 is situated in the picturesque Paradise Beach, across the beach. The views are breathtaking with the waves crashing and the beach that you can see, smell and hear. 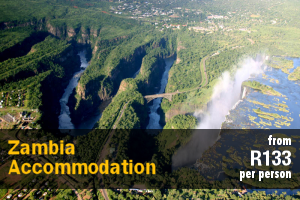 Accommodation is offered in 5 bedrooms and 5 bathrooms. 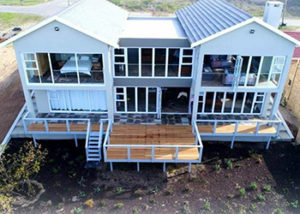 27 Lorstan is an exclusive five bedroom self-catering house, within walking distance from the beach, with panoramic views towards Humansdorp and the Baviaanskloof Mountains as well as a magnificent sea view towards the east. The Beach Lodge is a large self-catering cosy log style holiday home ideally situated in a cul-de-sac 100 meters from the beach in the Jeffreys Bay suburb of Paradise Beach. 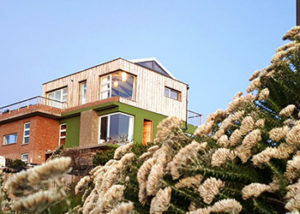 The house is very spacious and offers lovely sea views. 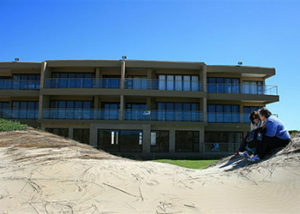 Paradise Sands 6 is situated on the beautiful east coast at Paradise Beach, near to Jeffrey’s Bay. Paradise Beach stretching for several kilometres along a beautiful sandy beach from the Seekoei River Lagoon towards St Francis Bay. 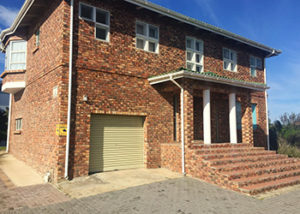 10 Ebertsohn is situated in Paradise Beach near Jeffreysbay and offers quality accommodation for your next family vacation. 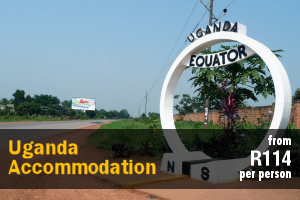 The unit is located less than a kilometre from the beach and in close proximity to all amenities. 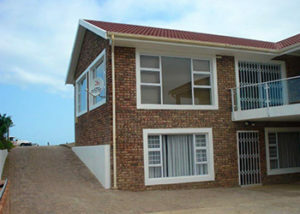 Sola Fide Residence is situated on the sunshine coast of Paradise Beach – Jeffreys Bay. Sola Fide has spacious, luxury self-catering units offering magnificent sea views and beautiful sunsets. 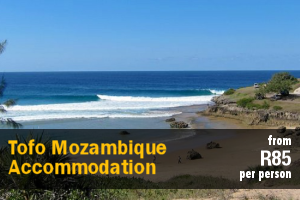 Situated 150m from a breathtaking beach where you can enjoy long, endless walks.